We’re continuing The Ridealong here on Lap 3 of 2 Fast 2 Forever, but before we drift over to Tokyo, we’re picking up Brian “Late Night” Rodriguez of the High School Slumber Party podcast to join The Mikestir of Third Time’s A Charm in our backseat! 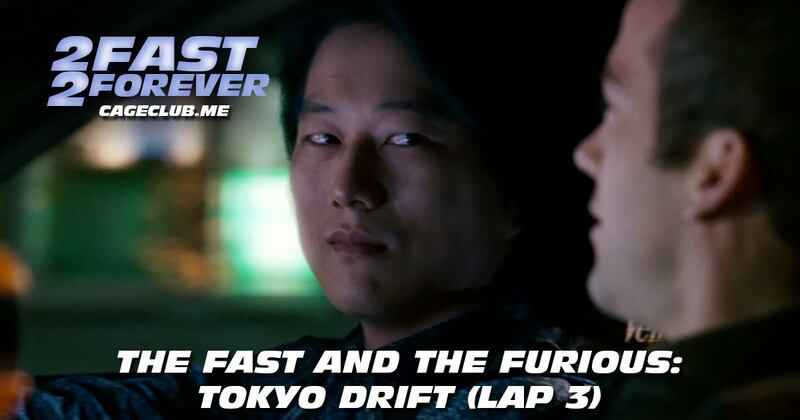 The Fast and the Furious: Tokyo Drift is special in that it’s a Fast and Furious movie, a high school movie, and the third movie in a franchise… which is why this episode marks the kick-off of an epic three show, three episode crossover event! Listen to this episode to find out which Fast and Furious character Brian is (on our new and improved character quiz), as well as Mike and Brian’s favorite moments, then tune into the next episodes of High School Slumber Party and Third Time’s A Charm to hear the rest of our conversation about The Fast and the Furious: Tokyo Drift! Want to re-live past memories? Find all episodes from past laps here.